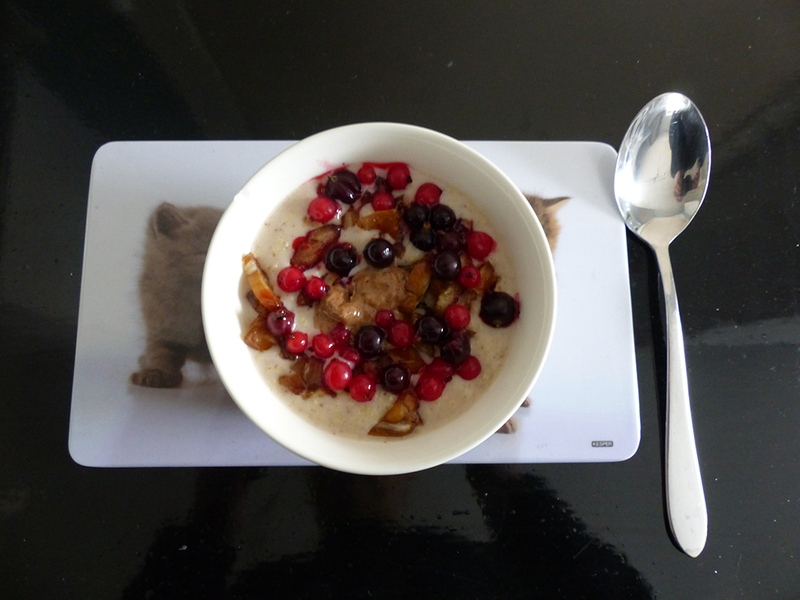 A healthy porridge made with millet grain, raspberries and dates. Use frozen (mixed) fruit for a year round breakfast. Soak the millet overnight in water. Drain and add the almond milk. Bring to a boil and simmer for around 10 minutes. Stir in the cinnamon and add the almond butter, fruit and chopped dates.